This small country wedding was so relaxed and intimate, I felt like a guest and not a wedding photographer. Tara and Zac rented a country house 45 minutes from Downtown Sacramento, in Wilton, CA. 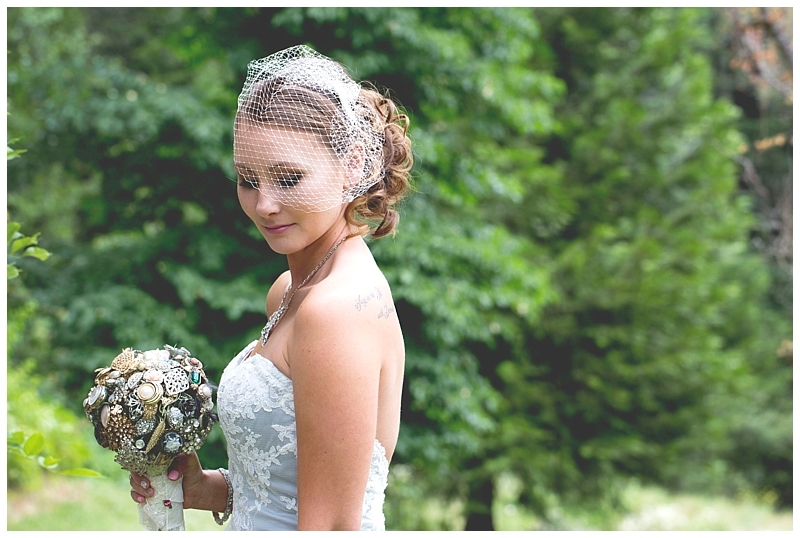 Their quaint wedding had a pond backdrop surrounded by trees and countryside. Tara made her bouquet, favors, and much of the decor. The groom made amazing enchiladas for the guests…yum! Everything was so laid back and personal, it was a great way to spend their most important day. The sun was setting behind the big house when they said their vows. It was perfect. Succulent wedding favors (my favorite) and very cool DIY paper bouquets. I got to hang out with the groom and groomsmen for a change. These guys were goofing around and having fun. True friends. Tara and Zac were lucky enough to have Zac’s dad officiate the wedding. The bride and groom had each other’s wedding bands engraved and waited for a special moment to read what the other wrote…let’s just say Zac has a good sense of humor! I wish Tara and Zac a lifetime of happiness! For more examples of my work as a Sacramento wedding photographer, feel free to peruse the galleries on my website. Thanks for stopping by! 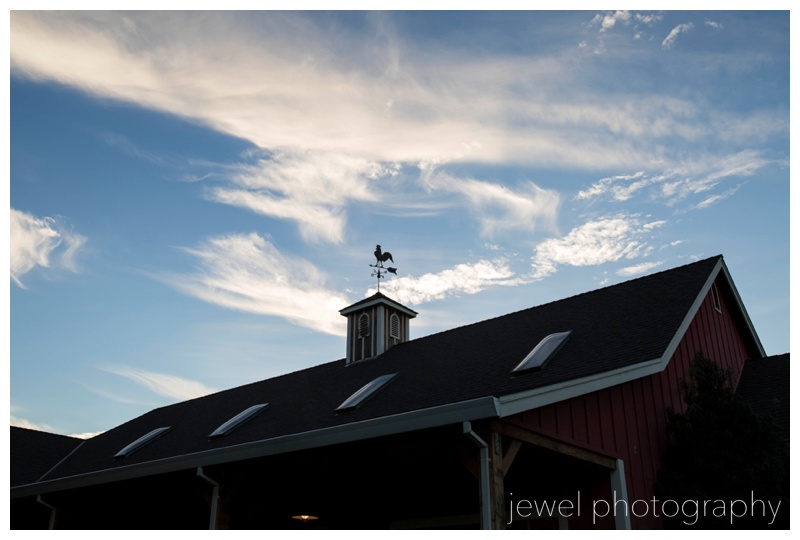 Last weekend I had the pleasure of photographing a wedding at the Loomis Flower Farm Inn. I had never been to this venue before and I was excited to see what it was all about. Not far from Sacramento, the property was perfect for a quaint outdoor wedding with all of the comforts of home. A country home that is! I loved this place and I took a few snapshots of the little vintage details that made the place unique. While I am not quite ready to post the wedding photos, I thought I would sneak in some quick photos I took while walking around. 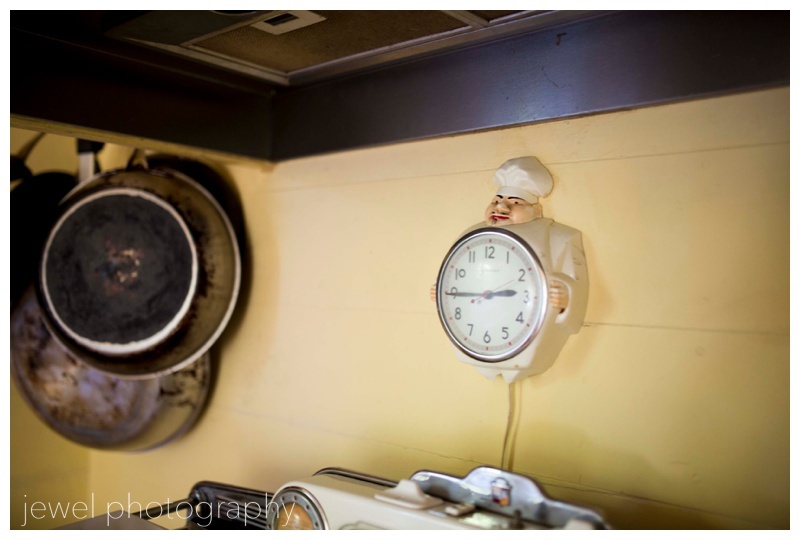 I can’t wait to photograph another wedding at the Flower Farm Inn! The gardens everywhere made many perfect backdrops for photos. 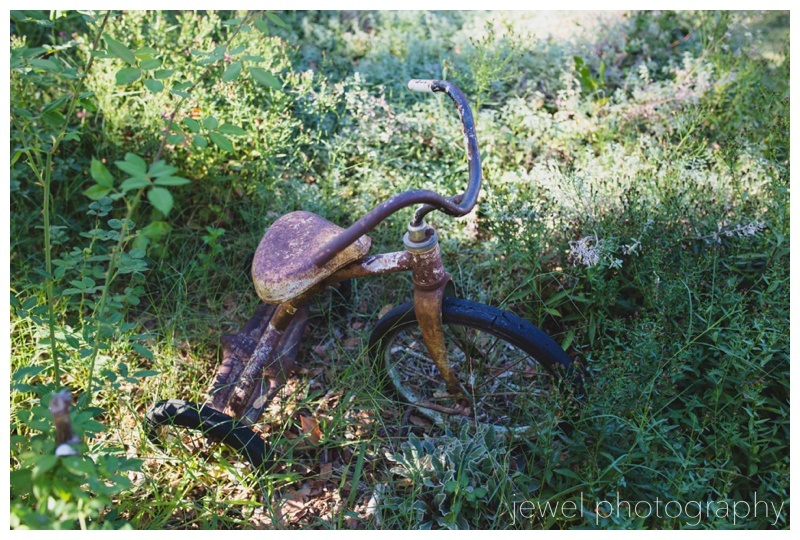 In one garden there was a rusted little vintage tricycle that caught my eye. I am sure some kiddos had fun riding this a long time ago! The main house was amazing and the guest cottages were so cute! Perfect for wedding guests or family to stay. These fluffy little chickens were roaming the grounds! I can imagine a yummy post wedding day brunch in this spacious dining room in the main house! 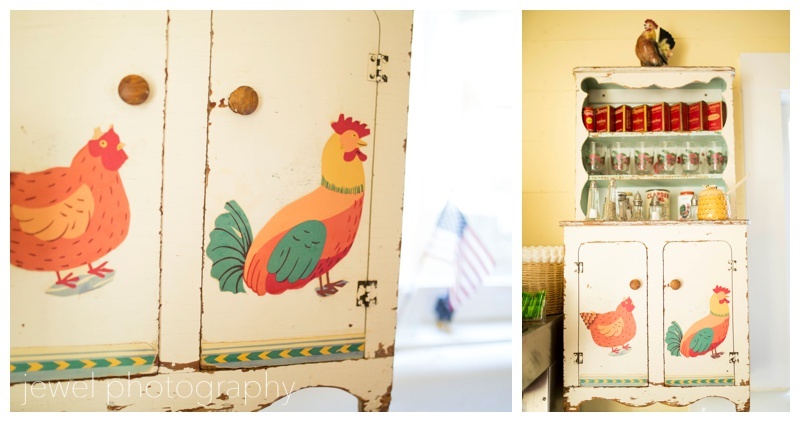 The kitchen was packed with vintage charm! What a fun place to have a wedding! Wedding photos coming soon…until then, you can see more of my work on my website! Thanks!